Associate Professor of Art History Touba Ghadessi compares today’s “fake news” with hoaxes from history—such as a 16th-century naturalist’s confirmation that a dragon had been found in the Italian countryside—in an essay published April 14 by New York newspaper Times Union and distributed nationally by the Hearst newspaper chain. In the 16th century, as well as today, people understood that supporting questionable news was about more than belief in one event—it was and is about aligning one’s beliefs with a certain group or perspective, Ghadessi says. “Smartly, and to preserve their own interests, they played along,” she writes, of courtiers and rulers who accepted the dragon story. Ghadessi asks her students to look into the facts of the story, to seek out reasons why a respected scientist would lie about the existence of a mythical beast—and who stood to benefit from such a lie. 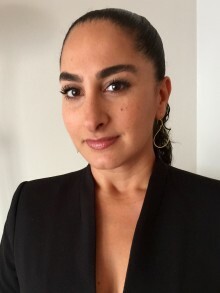 “Not only do they come to understand the complex layers that construct any belief, but they also realize that facts have been altered for centuries,” Ghadessi says in her essay. This lesson from the past can suitably be applied to the modern age, where news travels faster than ever and—despite greater literacy and access to data—people continue to support surprisingly false claims. Why? Because it’s easier, Ghadessi says. “In the search for immediate insight, we forget accurate facts, we dismiss truth, and we lose knowledge. And we become the prime gullible target for politicians and special interests preying on our lethargic minds, selling their brands through constructed falsehoods,” she writes. Ghadessi is co-founder of the Wheaton Institute for the Interdisciplinary Humanities and serves on the board of the Rhode Island Council for the Humanities, and has lobbied in Washington, D.C., on behalf of the National Endowment for the Humanities. Her first book, Portraits of Human Monsters in the Renaissance: Dwarves, Hirsutes, and Castrati as Idealized Anatomical Anomalies, was published in February by Arc Humanities Press.